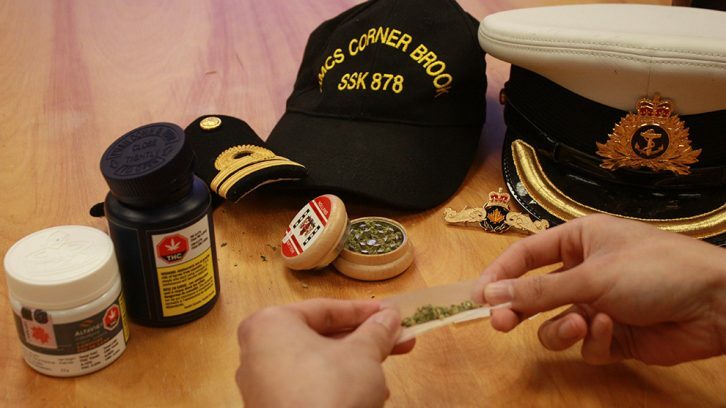 Submariners now have more latitude when it comes to smoking pot. Cannabis regulations for submariners have been relaxed to be more in line with the rest of the Navy. Commander of Canadian Submarine Forces navy Capt. Chris Robinson has clarified that the 28-day prohibition on smoking pot before submarine service only applies when a submarine is scheduled to go to sea. Meanwhile, rules for smoking cannabis in the surface fleet, frigates and coastal defence vessels, are similar to drinking alcohol. This includes no smoking eight hours before a duty watch, 24 hours before dangerous activities like handling firearms or rappelling and 28 days before operating a drone. “At the end of the day, we’re still service members,” said a submariner who spoke to The Signal on condition of anonymity because he was concerned about regulations that ban Canadian Forces staff from offering personal opinions about military policy. He said submariners are compensated for a sub’s living conditions, like close living quarters and no laundry onboard. But, he said, being on a sub is demanding and the payoffs aren’t always worth it. Additional perks are always welcomed. “I think having (Robinson) relax it makes it a lot easier on people,” said the submariner. Dunne said the prohibition on cannabis for submariners is a factor in deciding to volunteer for submarines. But the decision probably doesn’t hinge solely on being able to smoke. “I think those personal ambitions go much deeper than a wish to smoke pot or not to smoke pot,” he said. Before Robinson gave his directive, sailors posted to a submarine could not smoke or eat cannabis if they were posted to a sub, even if it was docked. Now submariners can smoke during the evening and weekends — if they are off-duty or their boat is not scheduled to go to sea. 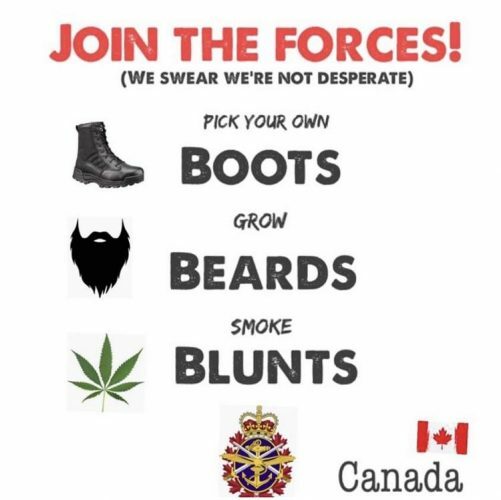 Robinson’s instructions to relax the rules comes on the heels of other regulations aimed at improving morale in the Canadian Forces, like allowing all members grow beards and buy their own, more comfortable, boots and get reimbursed. Editor's Note: This story has been modified to clarify that Canadian Forces members are allowed to speak to journalists if they follow detailed regulations that govern contact with the press.